All steps are connected by the arrow pathway. The arrow pathway can be in a loop shape. 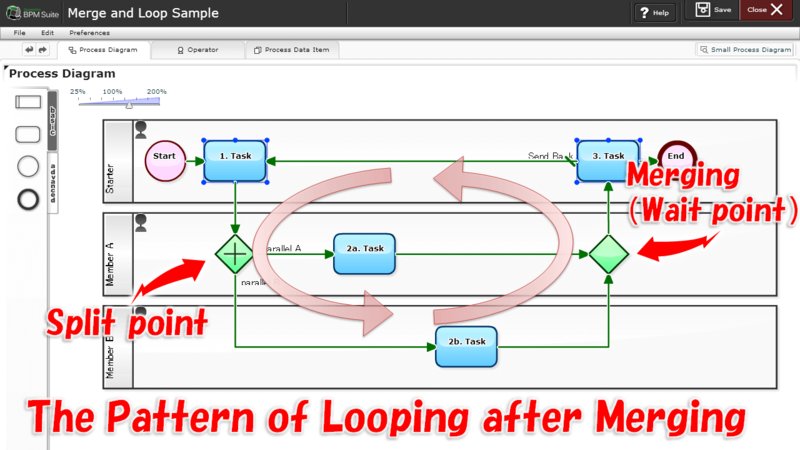 It also supports hierarchical (multiplexing) loop or advanced loop called "non-block structure", as well as simple "Send-back flow". 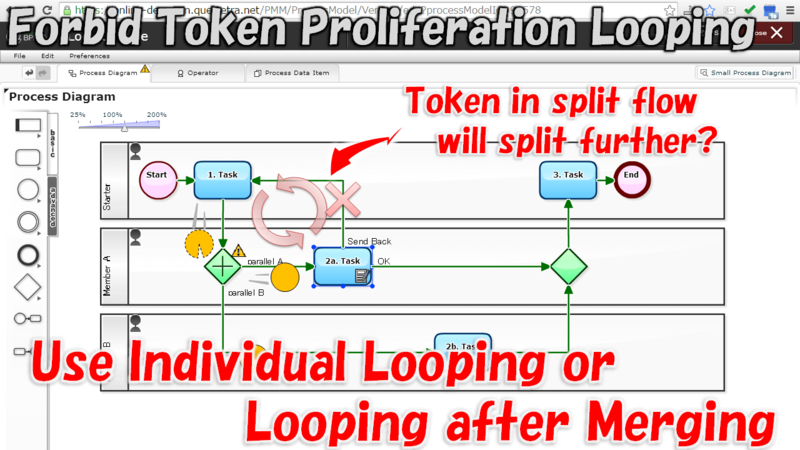 However, a loop structure that Split tokens will become infinite proliferation, will result in an error. 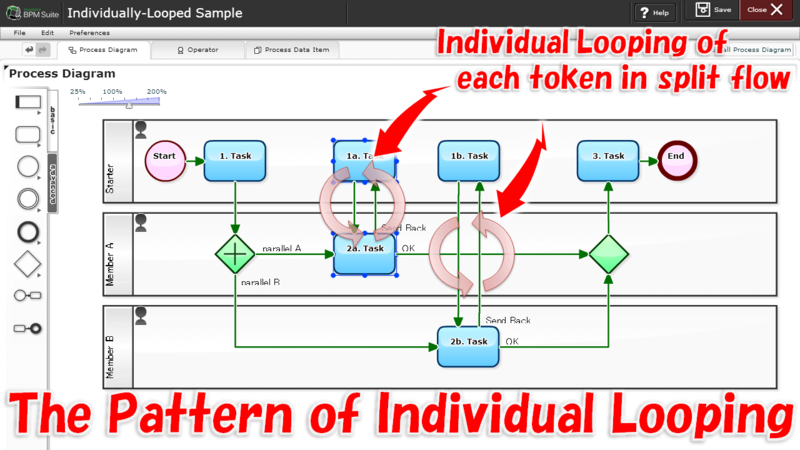 You must be careful for using both of Looping structure and multiple Split Gateways (AND Split/OR Split). 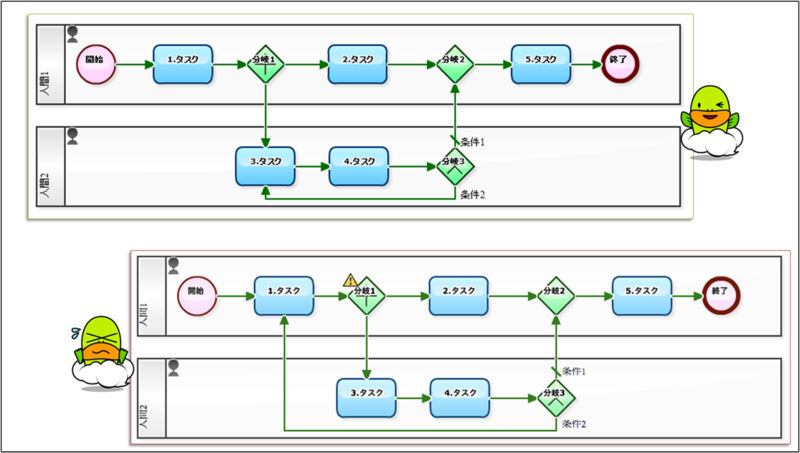 The combination of Single Split Gateway (XOR Split) and Looping structure will not cause an error even if arranged any how. 2014-12-01: Workflow which to be Started at the External Environment Changes, e.g. "Power Utilization"